Menus are a great idea for private luncheons, weddings, fund raisers, galas and events. Including a Menu card for the event adds a great touch of detail to the planning for guests to see what’s expected for lunch or dinner. 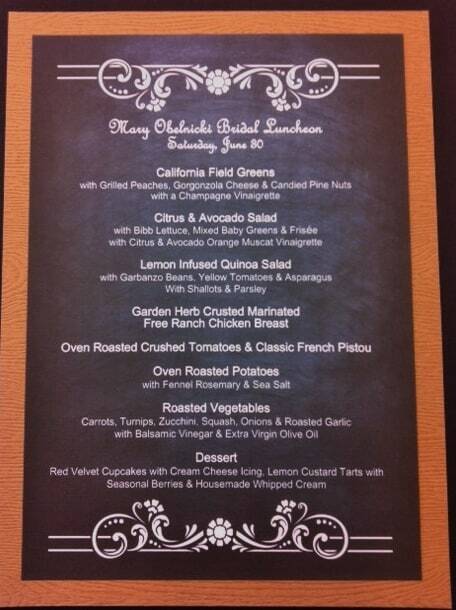 We designed and printed the chalkboard style menu below for a Bridal Luncheon. The menu includes California Field Greens, Citrus Avocado Salad, Lemon Infused Quinoa Salad, Garden Herb Crusted Free Ranch Chicken, Oven Roasted French Pistou not to mention a dessert selection. The above menu printed with Hyegraph’s Digital Calligraphy is an example of the types of custom menu design and printing that we provide for our clients. 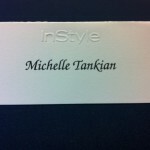 You can see more of our menu cards on our Wedding Blog. 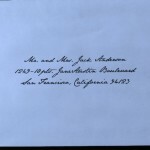 If you would like us to help you with any of the above items including menu printing, place card printing, envelope addressing for your invitations, wedding invitations and stationery please email us, call or come in to our San Francisco store at 3 Embarcadero Center, San Francisco, CA. If you’re not in the San Francisco area we can still assist you with the printing of all your stationery products. We work with clients nationwide including the Bay Area: Napa, San Jose, Atherton, Southern California including: Beverly Hills, Los Angeles, Sacramento, San Diego and East Coast: New York, MA, New York, New Jersey, Seattle, Wahington, D.C. as well as Hawaii and oversees. You can also Shop Online for our Save the Dates, Wedding Invitations and Stationery on our Shop Online Site. Please see our Happy Customer on our Testimonials Page.